So, How Does Zoosk Compare to Other Top Dating Sites? If you’re in the online dating scene, you have no doubt heard of Zoosk. The bustling website is one of the most popular in the United States, with over 40 million members and 3 million messages sent daily. Zoosk allows more freedom than other popular dating sites like Match.com, EliteSingles, and eharmony; whereas members of those sites mainly get matches sent to them, on Zoosk, members can create connections themselves, without having to wait to receive a match. Perhaps this is what accounts for its stunning popularity. Look at the site and the members on it (no contacting). Buy Zoosk coins to boost your profile, unlock Carousel matches, and buy gifts. The Carousel is a way for members to quickly connect with each other. You’ll see profiles of potential matches, and you must immediately choose whether you would like to connect or not. You can get a 1-month membership to Zoosk for $29.95. If you'd like a little more time on the site, try Zoosk for 3 months and pay $19.98 a month or 6 months for $12.49 a month. Zoosk’s 6-month membership is its more popular package. You’ll have enough time to get to know the site and meet like-minded people, while paying the lowest monthly cost. Zoosk offers a number of payment options, some of which vary by country. The main ones are credit card, debit card, PayPal, iTunes, and Amazon. Promotion with Boost: Highlights your profile in the search results, message inbox, and Carousels of other people. You can get 75 boosts for 150 coins. Unlocking matches in the Carousel - If you want to connect with someone you see in the Carousel, you can use Zoosk coins to unlock their profile. Message delivery confirmations and notifications once message is opened. You can buy 180 Zoosk coins for $19.99, 480 Zoosk coins for $39.99, and 1,800 coins for $99.99. The first 2 options are the most popular purchases on the Zoosk iPhone app. Hidden Fees - Zoosk only lists the cost of a Boost, but the cost of the other premium features is not listed. You can only find out once you decide to go ahead and make the purchase. These are the only “hidden fees” found on Zoosk. Each time your coin balance falls to 20 coins or below, you will automatically be charged for an additional coin package in the same amount as your original purchase. This means that you should make sure to stay on top of your coin balance if you don’t want to be charged automatically. We’ll start with the bottom line first—Zoosk’s pricing smokes its competitors out of the water. It is cheaper than Match and EliteSingles, 2 of the top-rated dating sites in the US, and gives members more freedom as well. Below you can see exactly how competing dating sites measure up against Zoosk. Match.com: At the 3-month subscription, Zoosk is not much less than Match.com, but when it comes to the 6-month and 12-month subscriptions, Zoosk’s prices are nearly half. Of course, the premise of each site is different—Zoosk is all about letting users contact each other on their own, whereas Match.com sends matches to users. Those who prefer the way Match.com works may not mind paying higher prices. EliteSingles: EliteSingles is also significantly more expensive than Zoosk (and Match.com). While the website does offer substantial sales at various points throughout the year, it still usually comes out more expensive than Zoosk. There are no activation fees when you sign up to Zoosk, but as with many dating sites, your membership will be automatically renewed unless you cancel. So if you sign up for 1 month but forget to cancel, don’t be surprised to see another monthly charge the next month. Turning off automatic renewal is simple; just go to Account Settings and change your choice under Subscription. If you bought your Zoosk membership on iTunes or Amazon, you’ll need to cancel through those same methods. Bear in mind that if you buy a 3-month subscription and you choose to cancel it or deactivate your account after 1 month, you will not be refunded; therefore, from a financial perspective it doesn’t pay to deactivate your account before your plan is up. If at any point you do decide to deactivate your account, there is no cancellation fee. Just make sure to do it before your next renewal date, or you’ll be charged for the next cycle. If you’re just getting your feet wet in the online dating pool, you can use Zoosk’s free option to get an idea of just how the whole thing looks and feels. If you decide you want to jump in, you won’t find better prices than Zoosk’s plans. The questions that remain are whether you enjoy the way Zoosk works, and if so, how long to sign up for? And as you can probably guess, only you can decide what those answers are. 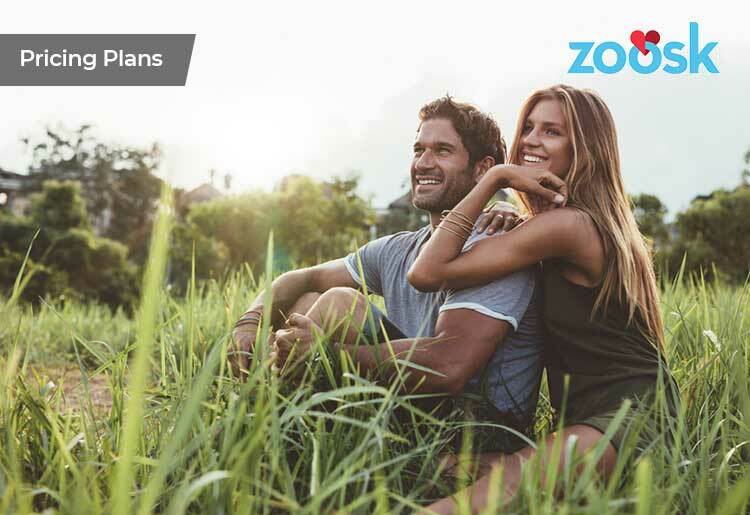 Decide which Zoosk plan is best for you and sign up today.